If you have any questions, please contact us by submitting this form. 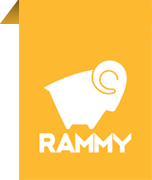 The message will be sent to rammy@rammy.fi. We will ALWAYS respond to messages within 2 work days.